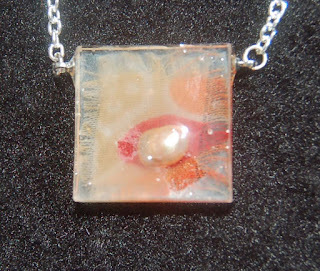 I've been experimenting with embedding antique silk kimono fabric in resin. I started with a plain square silicon mold and the original UV light liquid resin. Both of these supplies can be purchased at HM Ben Franklin Crafts. First a thin layer of resin was put into the mold and hardened. Next a tiny swatch of kimono silk was laid on top and more resin was added. After hardening, the pearl(s) were place strategically and more resin was dripped in to fill the mold before setting under the UV light. The top pendant photographed better than the bottom one but I think the bottom pendant looks more attractive in real life. 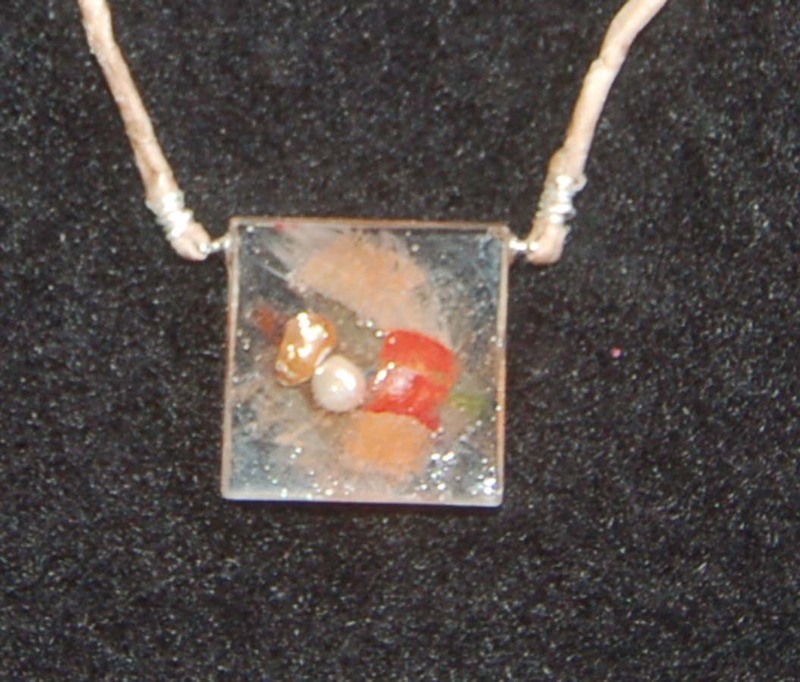 I used silk cording on the first resin pendant and like the way it blends in with the pendant. 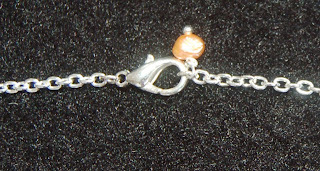 For this pendant, I decided to attach a silver plated chain. It gives the resin jewelry a clean, more modern look. All the metal findings were purchased at HM Ben Franklin Crafts. I would have used sterling silver findings but the bails that were attached to both sides of the pendants (with resin) were not sterling so I decided to use silver plate metal findings to match. Here is a look at the closures for the jewelry. I think the pearls on the end of the chains add a pretty, dainty touch. 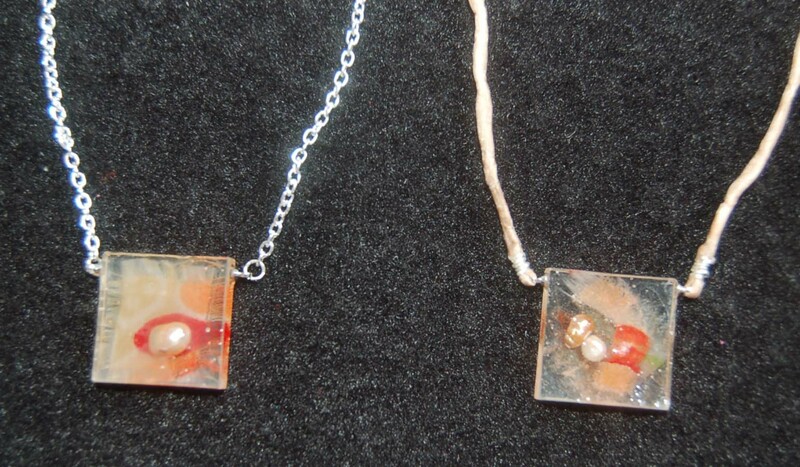 Next, I plan to experiment with enclosing washi paper in resin pendants....imagine the possibilities! Oh wow. I wanna play too! I have not played with Resin in a long time.. these are totally awesome. You have inspired me. Both of these necklaces are lovely, but I particularly like the one with the silk cord because the cord relates back to the kimono. Beautiful!